Palm oil industry needs to tackle the trust deficit in the food product marketplace, ensuring environmental sustainability, food safety and transparency. THE European Commission’s decision to phase out palm oil biofuels is based on the high carbon footprint of palm oil production and as a mechanism for protection against indirect land use change (iLUC) (and indirectly also against food price hikes in developing countries). Therefore, nothing can be done at this stage against the phasing out. What is coming next is the same issue of high carbon emissions and food safety of palm oil in food products. Remember 3-MCPD? (It is an organic chemical compound which is the most common member of chemical food contaminants and is suspected to be carcinogenic to humans). This is not the first “fight” on the carbon emissions front. The first was with the United States (US) government (2009-2014) when Malaysia and Indonesia lost the argument. The difference this time is that Europe engages with its partner countries, but still does not deviate from the principles of science. From the argument with the US, it is demonstrated that developed countries want trade-partner countries to recognise the urgency of climate change and initiate some action against it. The European directive is to bring about good behavioural change in the palm oil industry. The severity and urgency of climate change should have been clear through attendance at the 24 meetings of the Conference of the Parties (COP) since the Rio Declaration (1992). In spite of this, the government and the palm oil industry dismiss its relevance to the industry, while the sense of urgency among western countries makes such a posture unacceptable. The industry can contribute new low carbon energy to mitigate its carbon emissions and is expected to act on it particularly seriously. Sustainability of palm oil production is closely related to its carbon footprint. Apart from conversion of rainforest land and peatland into oil palm plantations, the other major activities are application of fertiliser and treatment of palm oil mill effluents, which release greenhouse gases that leave a large carbon footprint. The palm oil industry needs to mitigate the present carbon emissions in its production methods to prove that they are environmentally sustainable. Let’s not forget that between the Conference of the Parties (COP) at Copenhagen in 2009 and the COP21 Paris Accord on Climate Change in 2015 — a span of six years — the planted area of oil palm has increased by a million hectares as government statistics indicate. Information withheld is that a major extent of expansion has involved peatland drainage in the increased planted area. 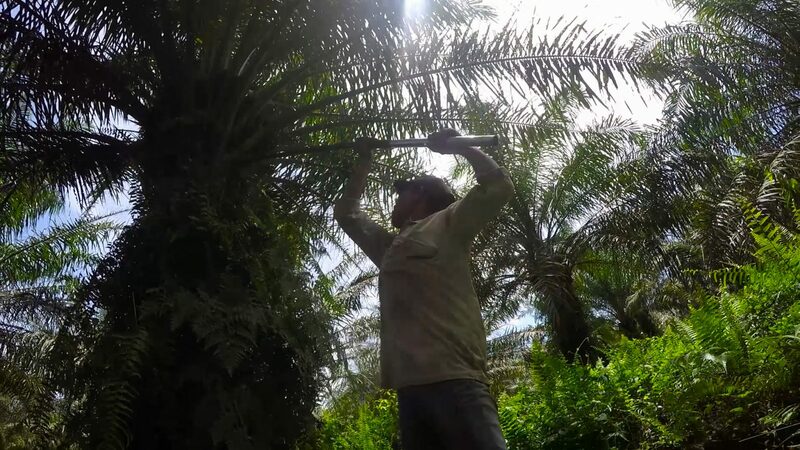 The Rubber Industry Smallholders Development Authority (Risda)’s statement that almost 45 per cent of land area in Malaysia consists of peat soils for palm tree cultivation and unused or idle peat land was also used for palm oil trees, is the most damaging to date. The government has tried hard to deny cultivating on peatland but Risda has indicated otherwise. Cultivating oil palm on peatland compared to planting in mineral soil causes more than 10 times greenhouse gas emission into the atmosphere for many years — i.e. up to 170 tonnes of CO2 per ha per year. On the concern for the well-being of smallholders, it’s like crying over spilt milk, when attention should have been directed to negotiating the definition of a smallholder to include land size of up to five hectares, which was laid on the table by the EU. Smallholders’ well-being is our problem, not the EU’s. To safeguard palm oil as a food source and grow the market share, the primary industries minister must convince the EU that Malaysia is genuinely concerned about climate change, and as proof of action, convey to the EU what Malaysia intends to do next. Both the US government and the European Commission have suggested that the massive amount of biomass residue generated at palm oil mills be used efficiently for renewable energy generation to reduce carbon emissions and prosper the palm oil industry. The urgency of climate change will drive every industry to account for the energy, water and chemicals it uses. This is inevitable.